Retouching is a process of getting an image ready for the final presentation. 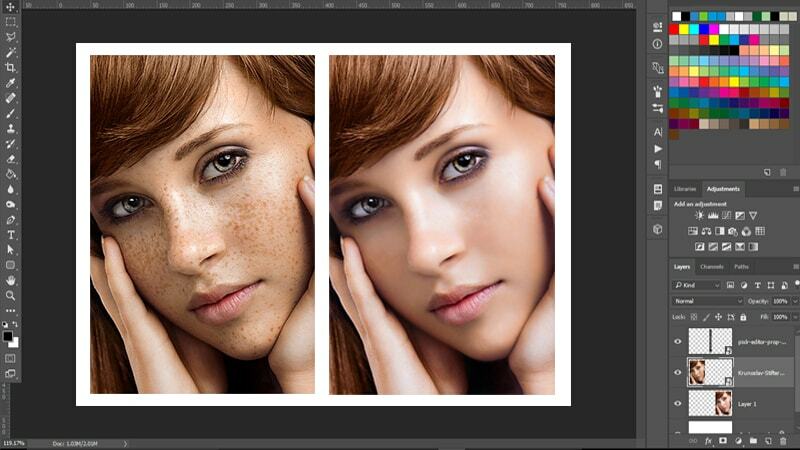 The concept of retouching has evolved since the inception of photography. Every image that you see on an ad or television, goes through some sort of image retouching and manipulation. It is also known as airbrushing and includes the process of basic fixing such as erasing the pimples etc. Thus, with an increase in the demand of image retouching, most of the image editing firms have been facing a continuous challenge. Scanning and Indexing offer the best and high-quality enriched image retouching services in India. We believe that an image can speak thousands of words and is the best way through which you can convey a message. Our clients mostly approach our image retouching service for their various marketing purposes. We have been successfully delivering the image retouching services to clients from various professional walks such as global portrait studios, publishers, organizations, professional photographers, etc. We possess a team of excellent and well-qualified image editors who have an in-depth knowledge of the latest photo editing and image retouching tools. The process of retouching is a time-consuming task. We can retouch your digital photographs and add an extra spark to the outlook. We work with various image formats such as JPEG, TIFF, GIF, PSD, PNG, RAW, etc.